You (if you are a male that is) may already be concerned about your prostate health. Prostate enlargement makes it difficult for you to urinate. This can often happen to you and other mean as aging of the body occurs. It can also be one of the symptoms of prostate cancer. Wouldn't you like to learn about a natural means of helping to protect your prostate from possible harm? Of course, you would, so check the following information on bee pollen. You may not realize that bee pollen is an excellent source of carbohydrates, enzymes, unsaturated fats, antioxidants, zinc and other minerals, vitamins, protein, rutin and other vital nutrients, but it is. It not only is beneficial to the prostate, but it can also boost the immune system, reduce allergies and improve the health of your liver. A study performed in Sweden reported that bee pollen is an effective treatment for enlargement of the prostate. It will reduce the swelling and inflammation significantly in this gland. Dr. Gosta Leander did a double blind study that included 93 men. A group of 43 men (control group) took placebos, while the other 50 took bee pollen. The 43 of the control group had little or no improvement in their condition, while 46 of the 50 on bee pollen significantly improved. A different study performed in Japan also shows that bee pollen could be beneficial for the health of your prostate. This study involved mice and showed that the tissues of the prostate stopped degrading and in some cases even reversed to some degree, because of vitamin A supplementation (this is one of the many vitamins in bee pollen). The findings also conclude that zinc is also important for the prostate to be healthy. Conflicting results occurred in studies on whether high levels of vitamin A in the blood stream will lower the risk of prostate cancer. One Hawaiian 13-year study reported a 45 percent less occurrence of prostate cancer in the men that had the highest levels of vitamin A in their blood streams compared with the men with the lowest levels. A study at the cancer center connected to the University of Hawaii did a vitamin A study for prostate cancer and it reported there is an increased risk for prostate cancer with vitamin A supplementation, so more research should look deeper into this for clarification. There are some promising reports from a 2007 Chinese study that showed cancer cells were destroyed by applying bee pollen to them in vitro. DHT (dihydrotestosterone) is a hormone that stimulates your prostate to grow over the years. It is a testosterone derivative and builds up in the tissue of the prostate and in other parts of your system. It has been thought for a long time that DHT is what is bad for your prostate not your testosterone. This hormone is more potent in its effect on your prostate growing than testosterone. A study in England on men who had problems urinating and went to the bathroom frequently showed positive results with pollen extract. A whopping 79% percent of these men showed significant improvement. Further results reported that 42% showed a reduction in symptoms and the other 36% removed all symptoms. You get other benefits besides blocking the DHT when you take pollen extract. It also lessens any inflammation and tension that could cause difficulty in urination. Another Japanese study backed up these findings reporting a high 80% successful treatment with pollen extract. This included a huge decrease in residual urine, improved urine flow, less urinating at night, and less strain while urinating. Bee pollen may help treat and even prevent (BPH) benign prostate hyperplasia. A review on studies published in 2000 in the BJU International. This review reported that research studies prove that bee pollen does relieve BPH symptoms. You should still check with your doctor before using bee pollen for this purpose. The dosage of bee pollen will vary according to the form of bee pollen you take. It comes in tablet, capsule and granule form. You should follow package instructions or the instructions of your doctor. You need to watch for any symptoms of enlargement in your prostate since it is a link to possible cancer. Your diet and supplements benefit the overall health of your prostate especially such potent things as bee pollen. An allergy to this substance can happen, especially if you have bee or pollen allergies, so do not use this product if you suffer from these. 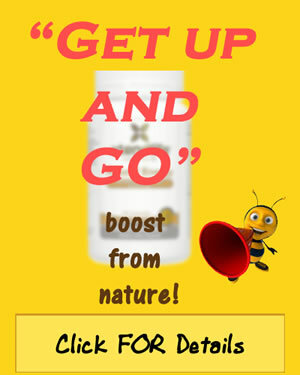 Nature's own power is present in bee pollen to benefit not only your prostate, but also your overall health.